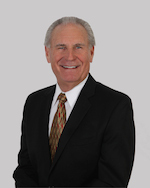 My professional overview consists of over thirty years of successful sales, sales management, and marketing experience. I have worked with individuals, builders, developers, plumbers, heating/air conditioning contractors along with major natural gas utility companies. A graduate of Bridgewater State University with a degree in communications which formed the foundation and keys for my success. In addition, I had the privilege to serve my country and proud to be a veteran. GRI: Graduate, Realtor Institute; Recognized by the National Association of Realtors this designation is exclusive: it’s awarded only to real estate agents who have successfully completed rigorous program of study and examinations. It’s recognized as having attained one of the highest professional levels in residential exclusivity insures that agents who have attained the GRI designation are considered leaders in the real estate profession. SRES: Senior Real Estate Specialists; Designees are REALTORS qualified to address the needs of home buyers and sellers age 50+. By earning the designation the designee has demonstrated the knowledge and expertise to counsel clients 50+ through major financial and lifestyle transitions in relocating, refinancing, or selling the family home. REALTOR®: Not all real estate agents are REALTORS. Realtors are trained to know the real facts about your local market. They are specifically trained to help you find that perfect piece of real estate, negotiate the best price and successfully close the transaction. CBR: Certified Buyer’s Representative; A recognized designation by the National Association of Realtors. Trained certified in Agency concepts, Code of Ethics, Procuring Cause, Buyers as Clients, Client Level negotiating, Due Diligence and Risk Reduction.